27th April 2018: “Man is the measure of all things.” – Protagoras, the Greek Philosopher rightly described the human civilization in 7 simple words. However, the abyss of human civilization with its unquenchable thirst for art, architecture, literature, politics, science, exploration and innovation have witnessed tremendous progress during the Renaissance period. The Renaissance period was the richest and best period for a resurgence of famous artists from the 14th to 17th Centuries. Their artworks were masterpieces, which were unique by their own standards and class. Renaissance first traces were found in Italy. Undeniably, it was the beginning of the Modern Age. Perspective in oil painting and recycling knowledge of concrete making were early developments of Renaissance period. Art developed in a fascinating manner with the development of highly realistic linear perspective. Giotto di Bondone was the first to treat a painting as a window into space. Architect Filippo Brunelleschi’s demonstrations and Leon Battista Alberti’s writings formalized perspective as an artistic technique. Each artist left an indelible mark on their creations. Artistic creations became synonymous with the Renaissance period for the emerging Modern Civilization. 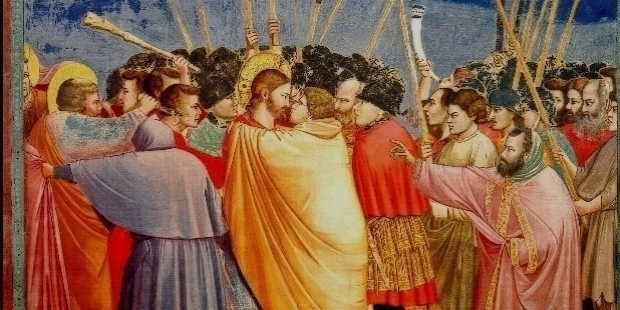 Giotto di Bondone was mononymously known as Giotto or Giotto. He was born c. 1267 in Florence, Republic of Florence. His father was a blacksmith. The Italian painter and architect is regarded the first in a line of great artists, whose contributions is renowned in the world. The decoration of the Scrovegni Chapel, in Padua, was Giotto’s masterwork. It was completed in around 1305. The incredible masterpieces of the Early Renaissance depict the ‘Life of the Blessed Virgin Mary’ and the ‘Life of Christ’ in fresco cycle. Some of his remarkable masterpieces are: ‘The Life of Christ’, ‘Franciscan Allegories’, ‘Ognissanti Madonna’, ‘Dormition of the Virgin’, ‘Passions of Christ’, ‘Kiss of Judas’, ‘Adoration of the Magi’, ‘Lamentation – The Mourning of Christ’, ‘The Crucifixion of Rimini’, ‘Meeting of Anna and Joachim’ and ‘Adoration of the Magi’. 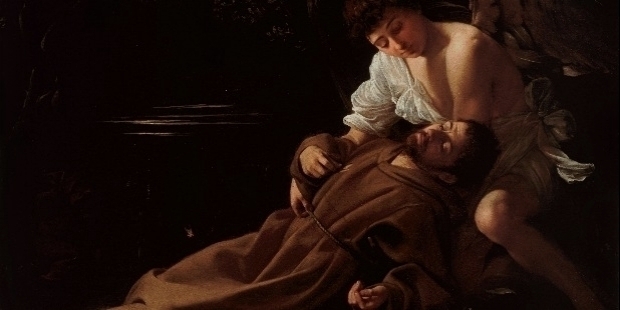 Michelangelo Merisi da Caravaggio, mononymously known as Caravaggio, was born on the 28th of September 1571, in Milan. His father Fermo Merixio was an architect-decorator and household administrator to the Marchese of Caravaggio town. His mother Lucia Aratori belonged to a propertied family in the same district. The Italian was active from the early 1590s to 1610 in Sicily, Malta, Naples and Rome. His masterpieces combined a realistic observation of the human state with the dramatic use of lighting, depicting the physical as well as the emotional aspects. His characteristic touches had a formative influence on Baroque painting. ‘Bacchus’, ‘Supper at Emmaus (Caravaggio)’, ‘London’, ‘The Calling of St Matthew’, ‘Medusa’, ‘The Musicians’, ‘Judith Beheading Holofernes’, ‘Saint Francis of Assisi in Ecstasy’ and ‘Penitent Magdalene’ are some of the amazing masterpieces of Caravaggio. Albrecht Durer was born on the 21st of May 1471 in Nuremberg, Holy Roman Empire. Albrecht Dürer the Elder, his father was a successful goldsmith. A painter, printmaker, and Renaissance theorist, Durer’s reputation for his high-quality woodcut prints influenced Europe. Durer is considered as one of the first European landscape artists for his watercolors’ paintings. He revolutionized the potential of his ambitious woodcuts. His vast masterpieces, which included his introduction of classical motifs into Northern art, acquired him the reputation as one of the most important figures of the Northern Renaissance. ‘The Knight’, ‘Death’, ‘The Devil’, ‘Saint Jerome in his Study’, ‘Melencolia I’, ‘Christ among the Doctors’, ‘Altarpiece of Ober-St. Veit’, ‘Lamentation for Christ’, ‘The Four Apostles’, ‘Self-Portrait’ and ‘Praying Hands’ are some of his amazing creation during the Renaissance period. Filippo Brunelleschi was born in Florence to Brunellesco di Lippo, a notary and Giuliana Spini in 1377. He is considered one of the founding fathers of the Renaissance. The multifaceted Italian designer was a key figure in architecture. 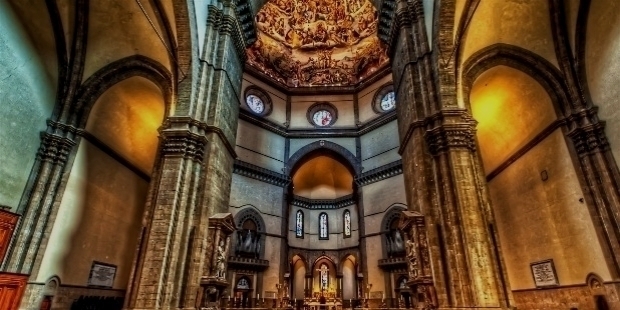 Brunelleschi was recognized as the ‘First Modern Engineer, Planner’ and ‘Sole Construction Supervisor’. Renowned for building the dome of the Florence Cathedral by developing a technique for linear perspective in art, he depended heavily on geometry and mirrors. His accomplishments included architectural works, sculpture, mathematics, engineering and ship design. 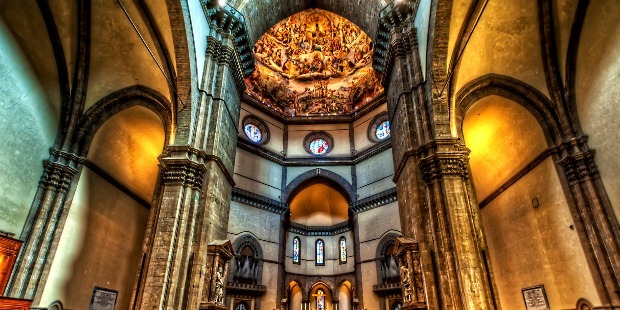 Brunelleschi’s creation ‘The Santa Maria del Fiore Cathedral in Florence’ possesses the largest brick dome in the world. It is considered a masterpiece of European architecture. Tiziano Vecelli or Tiziano Vecellio, known mononymously as Titian, was born in Pieve di Cadore, near Belluno in Veneto, Republic of Venice c. 1474. His father Gregorio Vecelli was Superintendent of the Castle of Pieve di Cadore. He also managed local mines for their owners. Titian’s mother was Lucia. Titian’s father was also a distinguished Councilor and soldier. 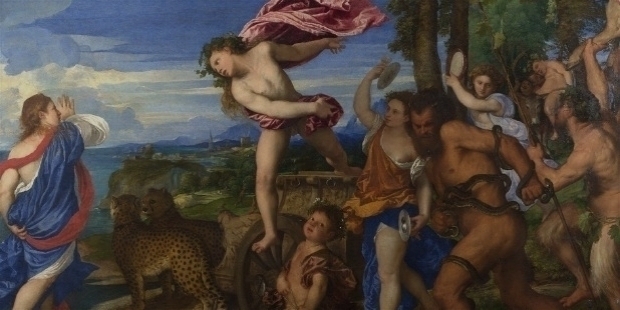 Titian’s mastery and maturity undertook larger and more complex subjects during the 1516 to 1530 period. For the first time, Titian moved from early Giorgionesque style to attempt a monumental style. He was the undisputed master of Venetian painting for 60 long years. Some of his extraordinary masterpieces are the ‘Assumption of the Virgin’, ‘Salome with the Head of John the Baptist’, Madonna di Ca' Pesaro’, ‘Bacchus and Ariadne’, and ‘The Death of St. Peter Martyr’ and ‘The Crowning with Thorns’. Alessandro di Mariano di Vanni Filipepi, better known as Sandro Botticelli was born in Florence c. 1445. His father Mariano di Vanni d'Amedeo Filipepi was a tanner. Sandro Botticelli was one of the five painters, chosen by Pope Sixtus IV in 1481, to adorn the Sistine Chapel with a series of religious frescos. He is one of the most famous painters of the Renaissance period. His workshop was well-known for their round tondo shaped ‘Madonna and Child’. Botticelli had painted a wide range of religious subjects and some spectacular portraits. 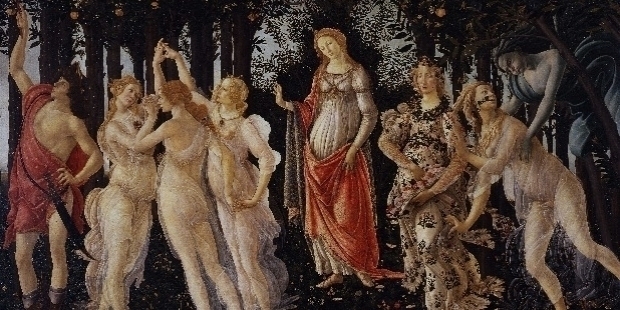 The decade of the 1480s was Botticelli’s most successful decade. It was during this period when all his large mythological paintings were created. Some of Botticelli’s renowned works are ‘The Birth of Venus’, ‘Primavera’, ‘The Mystical Nativity’, ‘Madonna and Child and Two Angels’, ‘Madonna del Padiglione’, ‘Madonna with Lillies and Eight Angels’ and ‘Adoration of the Magi’. Donato di Niccolò di Betto Bardi, popular as Donatello, was born in Florence c. 1386. His father Niccolò di Betto Bardi was a member of the Florentine Arte Della Lana. He received his early training in a goldsmith’s workshop. The Italian Renaissance sculptor studied classical sculpture and developed a complete Renaissance style in sculpture. 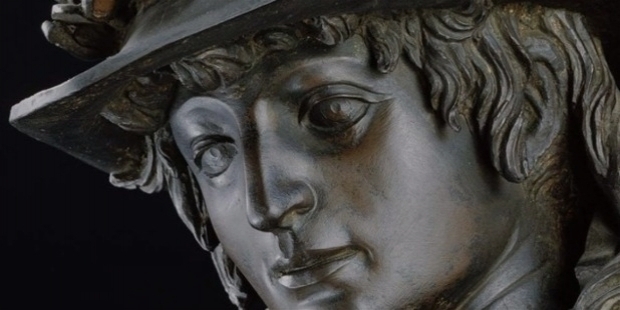 Donatello creatively used stone, bronze, wood, clay, stucco, and wax for his best-known statues in the round. Donatello's sculptures and Brunelleschi's buildings are both considered supreme expressions of the spirit Renaissance architecture and sculpture. Donatello pioneered the field of Stiacciato relief, an extremely subtle type of flat, low-relief carving. The design is partly drawn with finely engraved chisel lines and partly carved in relief. Some of Donatello’s magnificent works are ‘David’, ‘The Crucifixion’, ‘Judith and Holofernes’, ‘Virgin and Child’, and ‘Penitent Magdalene’. Raffaello Sanzio da Urbino, popular as Raphael, was born on the 28th of March 1483 in Urbino, Marche region. His father Giovanni Santi was Court painter to the Duke. Raphael was just eight when his mother Magia died in 1491. Raphael was an amazing painter and architect of the High Renaissance. Raphael was admired for his clarity of form, ease of composition and visual achievement of the Neo-platonic ideal of human grandeur. Raphael, Michelangelo and Leonardo da Vinci formed the traditional ‘Trinity of Great Masters of Renaissance Period’. This first of the famous the ‘Stanza della Segnatura’ made a stunning impact on Roman art. 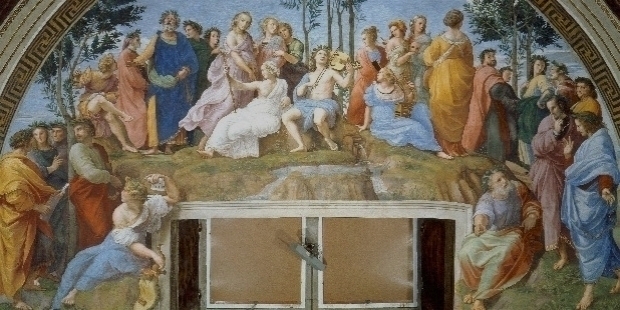 It is regarded as Raphael’s greatest masterpiece, containing ‘The School of Athens’, ‘The Parnassus’ and the ‘Disputa’. Some of Raphael’s best known works of Raphael are ‘The School of Athens’, ‘Saint George and the Dragon’, ‘Sistine Madonna’, ‘Galatea’ and ‘Aldobrandini Madonna’. Michelangelo di Lodovico Buonarroti Simoni, mononymously known as Michelangelo, was born on the 6th of March 1475, in Caprese. His father Ludovico di Leonardo Buonarroti Simoni took a government post in Caprese for a brief period. He was the town's Judicial Administrator and Podestà or local administrator of Chiusi della Verna. Several generations of his family were small-scale bankers in Florence. Michelangelo was just six when his mother Francesca di Neri del Miniato di Siena died in 1481 after a prolonged illness. The Italian sculptor, painter, architect, and poet of the High Renaissance exerted an unparalleled influence on the development of Western art. 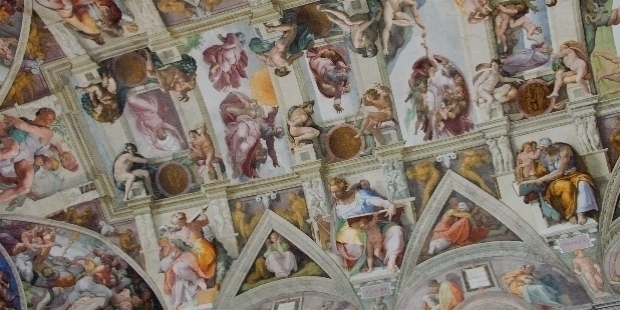 Michelangelo is renowned as one of the greatest artists of all time in the world. ‘The Pietà’ and ‘David’ are two of his magnificent works. Some of his renowned works are ‘The scenes from Genesis’ on the ceiling of the Sistine Chapel in Rome, ‘The Last Judgment’ on its altar wall and ‘The Creation of Adam’. Leonardo di ser Piero da Vinci, popular as Leonardo da Vinci was born on the 15th of April 1452, in the region of Florence, Vinci. He was born out of wedlock to wealthy Messer Piero Fruosino di Antonio da Vinci and peasant woman Caterina. His father was a Florentine legal notary. The multifaceted genius was the master of masters in the fields of painting, sculpting, architecture, science, music, mathematics, engineering, literature, anatomy, geology, astronomy, botany, writing, history and cartography. Young Leonardo was educated in Andrea del Verrocchio studio. Verrocchio was the renowned Florentine painter. He spent many years in the service of Ludovico il Moro, in Milan. Later, he worked in Rome, Bologna, and Venice. During his last years, he lived in France. The home was awarded by Francis I of France for his extraordinary talent and works. 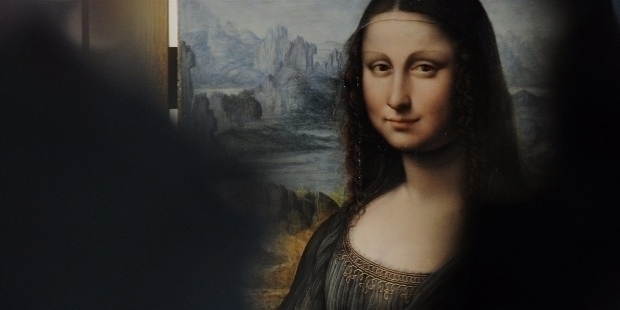 ‘Mona Lisa’ is the most famous portrait of all time. Leonardo's ‘Vitruvian Man’ drawing is regarded as a cultural icon. 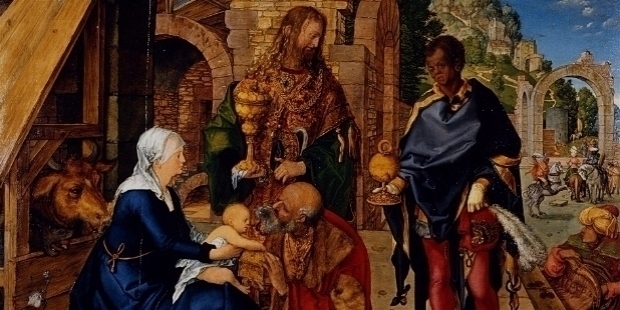 ‘The Last Supper’, ‘Bacchus’, ‘Adoration of the Magi’, ‘Annunciation’, ‘Salvatore Mundi’, ‘Virgin of the Rocks’ and ‘Lady with an Ermine’ are some of the extraordinary works of the remarkable genius of Renaissance period. Leonardo da Vinci is the all-time ‘Numero Uno’ genius artist in the world.